Killarney's famous mountain scenes provide a magnificent backdrop for the Dromhall Hotel. Located 5 minutes walk from town, the hotel offers the comfort and service one associates with a first class hotel while retaining the friendliness and welcome of a family-run hotel. From the moment you enter the elegant marbled lobby the scene is set for a special experience. The exclusive Club Sant Leisure Centre offers guests the ultimate in relaxation with its 17m Pool, Sauna, Steam Room. For pure indulgence a visit to Zen Day Spa is an absolute must.On the Dinner B&B package meals will be served in Kaynes Gastro Pub at the hotel. 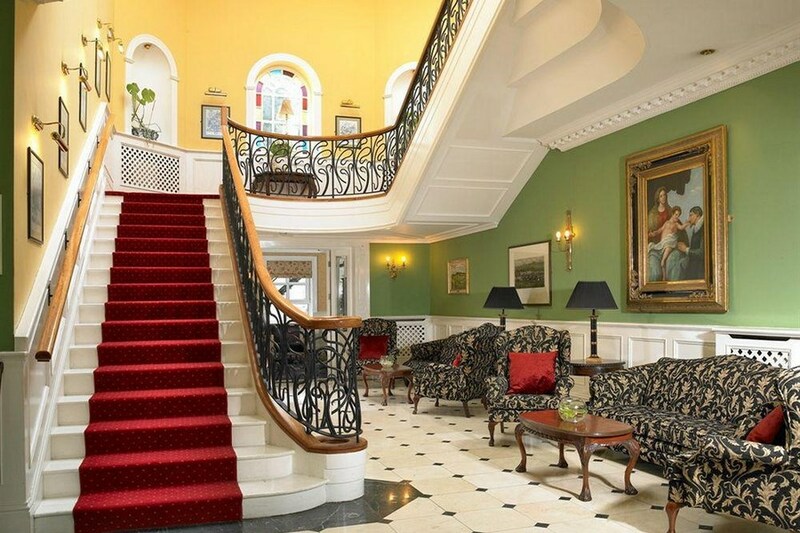 The Dromhall Hotel is located just 5 minutes walk from Killarney Town on the Muckross road. Killarney Town & Valley is worthy of multiple day explorations whatever your interest e.g., spectacular landscapes & wildlife. Lovely Hotel and great food. 1klm.from the town. Staff were all lovely which is a bonus. I know its not terribly important but the one area that needs improvement is the TV. But overall a lovely stay and we will be back. MAIRE Dublin. We had a very enjoyable stay at the Dromhall Hotel, our triple room was very nice, if a little too hot. The staff, both reception and breakfast staff were friendly and helpful, and we will return in the near future. Great bargain - lovely breakfast. The breakfast room was amazing, would stay again. We had a very pleasant stay . We found the staff very helpful and courteous , Breakfast was excellent and we also enjoyed a lovely meal at Kaynes Restaurant the evening we arrived . Overall a very excellent experience. James and Kathleen Callaghan.. Very nice hotel, comfortable. The cooked breakfast was very good but I thought there could be a better choice of fruit. Reception staff very pleasant and helpful. Just back from a night away & a great weekend in Killarney. Lovely Hotel, very central, friendly staff and great food in Kayne's. Breakfast too was super. I would however ask for a room at the back of the hotel the next time I stay as we were in the front & could hear too much from the street outside, which might not bother deep sleepers, but my 5yr old woke a few times. Not that it would put me off from going back when everything else was excellent. Very enjoyable stay, nice breakfasts, friendly staff overall. We stayed at Dromhall last weekend. It was such a beautiful location to stay. 5 minutes from Killarney and so easy to get places from this base. I would thoroughly recommend this accomodation and My other half and myself willl be booking to go back there as soon as we get a chance.We went for B&B and the breakfast was to die for. It kept us going for most of the day. Definitely 5 star from us. Enjoyable stay. Comfortable bed, good breakfast, friendly staff, nice pint of Guinness. Special word of thanks to Michael in the breakfast room who simply could not do enough for everyone. Only negatives were arriving at the room to find the cleaners only half finished following previous residents and my big time pet hate - a shower curtain. These things tend to cling around you and I would much prefer some class of a screen - more comfort (particularly for the larger person) and more hygienic in my opinion. We had a wonderful 3 night stay in the Dromhall Hotel Killarney, the rooms are comfortable, warm, the staff are friendly and very helpful, with information, directions and advice and the bed & breakfast deal could not have been more personalised. The hotel is a short walk from the town centre, across the road from Killarney National Park, close to amenities, stores and restaurants in the area and the hotel has its own bar and restaurant facilities. I would recommend this hotel. Myself and 3 friends stayed here for 3 nights. It was excellent. The staff could not have been nicer extremely helpful. The breakfast was served very promptly, and piping hot. The rooms were very comfortable and linen changed each day. We used the leisure centre it was loveley and clean. One guy in particular Lucian, was very helpful and informative. We would definitely return. The value for money was also excellent. 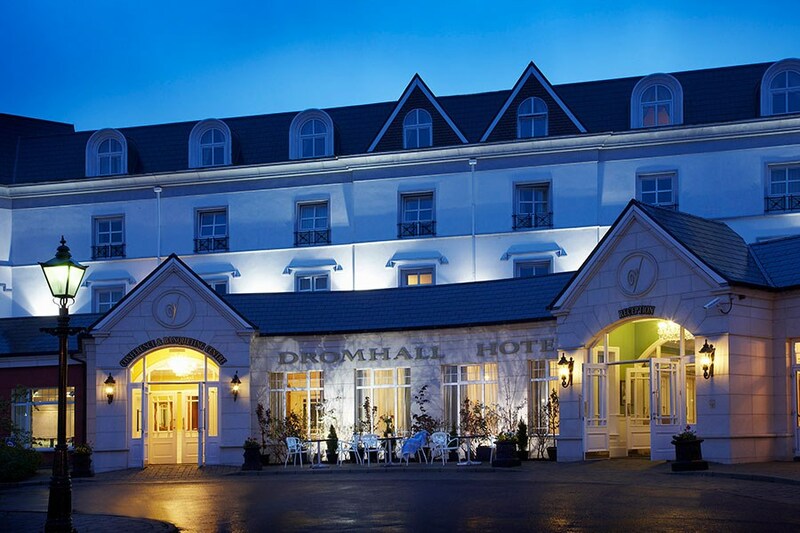 We had a lovely stay at the dromhall , lovely decor , friendly staff and comfy beds. The adjacent pub is warm and welcome and there were two musicians playing on the night we stayed. We will be back. Cathy. Absolutely outstanding. The value was amazing. The bedroom was wonderful and the friendliness of the staff cannot be over exaggerated. what a great value break. l stayed with my daughter on the 1 night B&B&D offer. the hotel was lovely as was our room. lt was much nicer than i was expecting for what l paid. We had our meal in Kaynes Bistro and not in Kaynes Bar which was one of the nicest meals i have ever had. l would totally recommend this hotel and my daughter is already planning our next visit!! Excellent Hotel great staff, great area and great food!! We got 4 course meal each night in the kaynes Bar for only €25. Overall experience was great I will def go back again..
Just ha d a two night stay here with my wife and our baby.I have travelled the world to many countries and stayed in various types of accomodation..This is a fine hotel ,our room was spotless.The best accolade i can give is regarding the staff.Every staff member i met were courteous and helpful.We had a meal her on one night in Kaynes bar and it was delicious..Put simply i have no faults with the hotel and the staff have a genuine friendly demeanour.Thanks Jason. Comfortable stay. The Hotel is well situated for the centre of Killarney. The room we had was one of the refurbished rooms on the second floor and was good. The staff were very helpful. Breakfast was good, the evening meal was good value considering that it was included in the price. Stayed for one night on January 20th 2012. (Dromhall Hotel). The price we paid was very good for the quality of the hotel we stayed in. It was the 4 star DromHall Hotel KIllarney. The room had a double bed and a single bed, with a beautiful refreshing shower, which is nice after a night on the town. We had our dinner in the bar, it was very reasonabley priced and would highly recommend this if you fancy a meal and not a 4-5 course. The hotels Leisure Centre is in the ajoining hotel, which I would think is owned by the same owner. You do have a 25 seconds walk outdoors to get to it but I wouldn't let that put me off as it was clean, friendly staff and was relaxing with a steam room and sauna aswell as pool. It has beauty treatment rooms for massages , facials etc. The breakfast was included in the price of €74 for two of us. I got a full Irish, which was only okay in that it consisted of 1 sausage, 2 rashers, 1 white pudding ,1 black pudding and an egg. Toast, and tea/Coffee. No Mushrooms, beans , hash browns ,onions or tomatoe. Again wouldn't let this tarnish my return to this lovely hotel. The staff are lovely, very nice decor and spotlessly clean. Would be returning at some time in the future. excellent breakfast with vegetarian and gluten free options, nice lounges with fires, great location, easy going, good food and bar... rooms not as large as you may expect from a 4-star hotel (some face a brick wall) and swimming pool is a bit pokey too. But all in all a fine hotel. We were accomodated in Randles Hotel next door.The staff were exceptionally friendly and helpful.The hotel itself was warn and in delightful christmas mode with lovely warn fires adorning the public rooms. The bedroom was well furnished,large and clean. Both breakfast and evening meals were substantial and of very good quality.Thanks to all staff again.We shall return. Making the reservation was painless. Made a follow up call to book a cot for our 15 month old and a request for a possible early check in - no problem. Check In itself was quick, lots of space to park the car - maybe due to it being October and midweek though. Room was nice and fairly decent sized. Breakfast consisted of a cereal buffet and cooked to order hot option. Service was pleasant enough, it wasn't too busy anyway. One reason we stayed here was the swimming pool (our little one enjoys his time in the pool), but unfortunately you have to go outside the hotel to reach the pool (itz actually located in the sister hotel Randles Court premises). That put us off going there the second day as it was raining. Also there is no kiddies pool (shallow). Most of the leisure centres in hotels we have been to : the pool attendants usually offer a few things for the baby to enjoy - here we had to ask if they have any flotation devices for our baby and were given a float - but it was (obviously) very under inflated. He did not offer to inflate it for us even after seeing us huffing and puffing to get enough air into it for safe use. Overall nice enough, but we might use a different hotel just because of the swimming pool. The restaurant was very helpful in providing us with a couple of cutlery and crockery as we had to eat in our room one of the nights due to a very cranky baby. No wi-fi in rooms though : need to ask for a cable from reception to access internet on laptop. A fab hotel,with every comfort,food was beautifully presented and served,and plenty of it.Pity it had no smoking rooms,didnt know untill we arrived.Thanks for making our stay so wonderful. The hotel is very centrally located within walking distance of the town centre. However, we opted not to eat in the hotel, choosing to eat down town instead. The room was very spacious and clean. the breakfast was hearty and the waitresses were very pleasant. 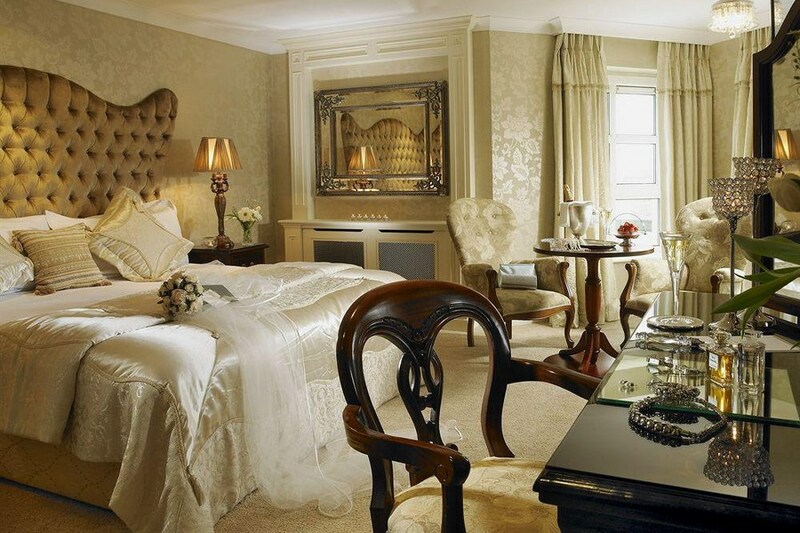 Overall, this hotel represents very good value and it was an enjoyable experience. The only downside was having to pay an addition €5 if wanted wifi access in the bedroom. My wife and i stayed one night the rooms were comvertiable, the breakfast was very good, Very disapointed with entertainment in thne bar there was no entertainment dead ,we came down from town where there music in most bars when we walked into the bar it was like a mrgue, I sugest you put on some entertainment on Friday night we concider going back regards Tony. Stayed one night in the Dromhall hotel Killarney .Lovely setting,,, great location good food ,good accomadation and great staff. In fact it was so good we stayed a second night. It was a very enjoyable stay. great location, helpfull staff, rooms where spacious, breakfast was lovely great varity had a problem wih cold water on the sat mornin when we got up but hotel was on top of it and fixed it by the time we go back from breakfast wud def recommend this hotel!!!!! Really enjoyed the weekend in the dromhall, food was lovely, rooms very nice & clean but i thought there should be more blankets on the bed - found it a little cold first night, got the blanket of the single bed for the 2nd night so was fine. Hotel staff very nice... definately give it a 4 out of 5 star!! !